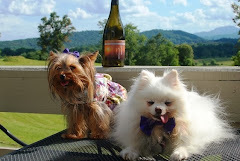 Munchkin and Pomeroy got so caught up in the grand opening excitment at Barrel Oak Winery (BOW) they almost forgot to post. What a day! The big stone fireplace was still an open hole in the wall; the railing had yet to be connected upstairs; and there were bathroom glitches. But the tasting room and the wines were ready for the the crowds that came pouring in off I-66. 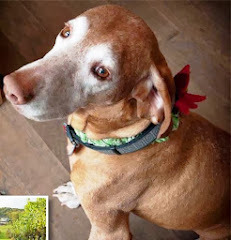 Host Brian Roeder welcomed the Wine Dogs warmly, and led us through a tasting of seven basic-flight and five reserve wines in between greetings from his buds and even a congratulatory call from home. Sharon serves as winemaker, and her basic wines are solid. The BOWHaus White recently took Gold at both the Virginia State Fair and again at the 2008 Indy International Wine Competition. We can attest that it's light and fresh and a great patio-sipping wine on a hot summer day. Even Munchkin, a confirmed red wine drinker enjoyed, although she is partial to the BOWHaus Red (note the pawprints on the bottle). Pomeroy found the Merlot easy to drink, while Munchkin was torn between her usual fav the CabFranc (great peppery finish) and the velvety smooth Petit Verdot. Not to be missed are the dessert wines, the pineapply Late Harvest Viogner was great, but overshadowed by the Chocolate Lab. This rich red blend aged with real chocolate is a dessert in itself. Flowers lined the tasting bar, including an arrangement bearing good luck wishes from Holli and John at neighboring Three Fox Vineyards. The Roeders are helping promote synergy among Fauquier County's wineries and businesses, even bringing in the alpacas from the Full Moon Farm. There are beautiful alpaca items for sale in the spacious tasting room as well. Brian has seen to every detail, playing up advantage of setting and incorporating rocks from the Blue Ridge and wood from barrels into the design. The tasting room flows gracefully out to the patio, with its vista views of the vineyards, the mountains, and John Marshall's estate. The Roeder's new Golden Retriever, Justice, is named in his honor. 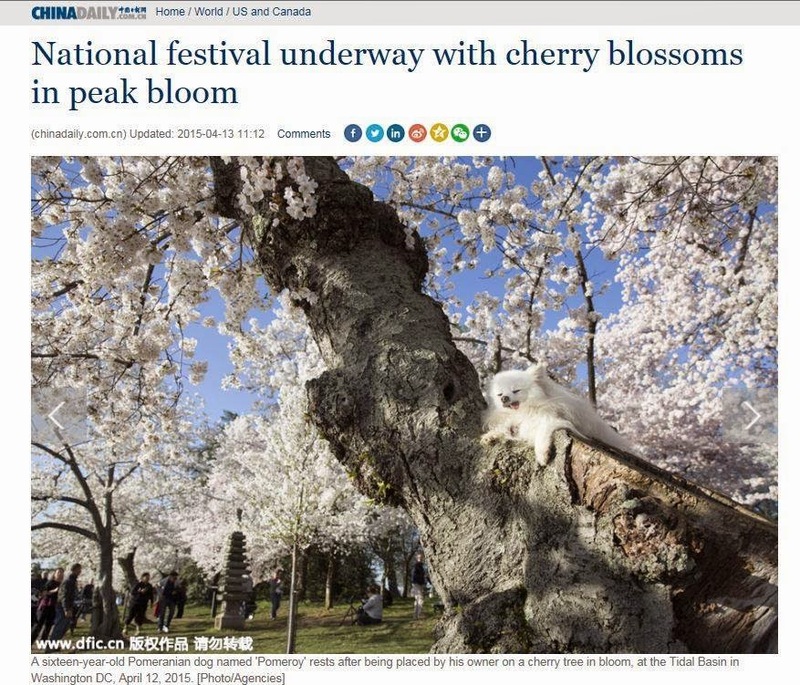 Word is the young pup overindulged one day on strawberries that had fermented in the hot sun and got a little tipsy. He's going to make a great Wine Dog! When it's good, you keep coming back. 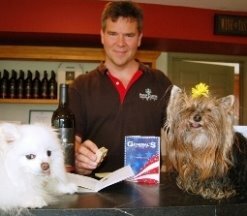 And the Wine Dogs think Barrel Oak Winery is the cat's meow. Munchkin's already visited three times, and the whole pack will return on Friday, July 18 for BOW's TGISunset under the Blood Moon. We can't wait to check it out, and to and see how Puppy Justice has grown. I'm glad someone else thinks this whole site is creepy, not to mention the impending "nuptials". Hello, they're DOGS. I dunno, I think they are kind of cute. Sometimes a little offbeat is entertaining. 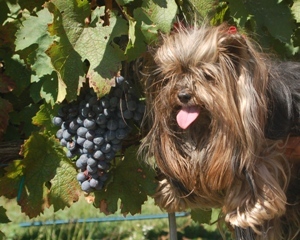 I confess, the winedogs were in my wine-making class and they were a lot of fun. I am sort of hooked now, waiting from week to week to find out the next adventures of the wine dogs. Their pictures are always entertaining and their reviews of winerys are always spot on. 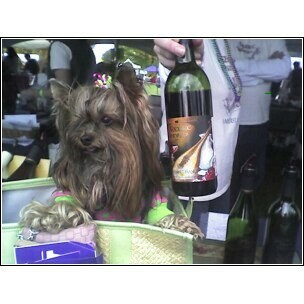 I have found you really can't go wrong with a wine dog recommendation. 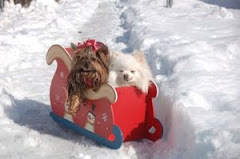 Oh, and the humans associated with the dogs are pretty good people too - but not as fun as Munchkin and Pomeroy. What's really "creepy and mind boggling" are people who have no sense of humor. 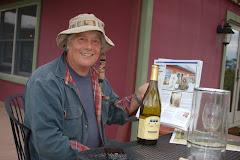 The blog is cute and funny, and provides some great info on the local vineyards in an entertaining way. Get a life people and try to have some fun. Well, I guess we've been put in our place! I guess one man's "cute" is another man's "creepy". Room for different opinions. Last commenter could lighten up a little too. LOVE IT! With all that's wrong in this world today, someone would actually find THIS creepy??? 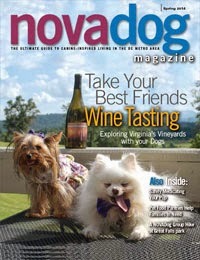 You would have to have been a dog AND wine lover to even be curious enough to go to this blog. If you're not, just don't go there, that simple. Best wishes Wine Dogs - and Wine people as well! Anonymous #2 makes the best points in a pleasant way;anonymous #4 sounds like a close-minded jerk with no sense of humor; anonymous #6 is right. But in defense of the ones who find this creepy, I suggest it is not the wine or the dogs that's the problem, but the anthropomorphizing of the dogs. I love wine & dogs, but I did find the "pop the question" act peculiar. 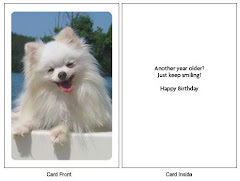 Let the dogs be dogs--not little people and NOT the humans' pretend children.